Wherever you live, the ground temperature beneath your home remains constant, regardless of the season. A geothermal heating and cooling system installed by Hi-Tech Heating & Cooling has the ability to harness that stable underground temperature to provide the heating, cooling & hot water needs for you and your home at remarkably high efficiencies. So high, in fact, that in some cases your home’s energy use can be cut by up to 80%! Geothermal heat pumps are categorized as one of the most efficient and quietest heating and cooling options available. Compared to traditional HVAC systems, installation costs are high. However, the long-term benefits include your home's energy bills being 30-40% lower than conventional heating and cooling technologies, as well as significantly reduced maintenance costs! Contact Hi-Tech Heating & Cooling by emailing our geothermal expert to find out more about your options in geothermal systems. We’re available to provide professional repairs, maintenance, and installations for geothermal systems in Highland, Milford, Waterford, White Lake, Commerce and the surrounding areas. Nearly half of the solar energy our planet receives is absorbed by the ground, where the earth remains a constant moderate temperature year-round. This absorbed energy provides an ideal source for heating and cooling your home. 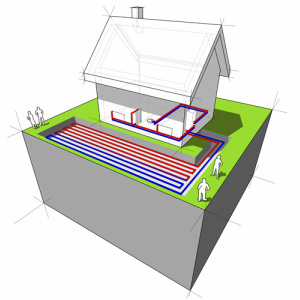 Geothermal systems use a sealed underground piping loop filled with circulating water and an ultra high-efficiency heat pump to exchange heat between your home and the earth. In the winter, the earth is your source of heat. Water circulating in the piping loop absorbs heat from the earth and carries it to the heat pump, where it is concentrated and sent as warm, comfortable air throughout your home. In the summer, the earth is your source of cooling. The heat pump absorbs heat from the air in your home and transfers it to water circulating in the piping loop where it is absorbed by the earth. 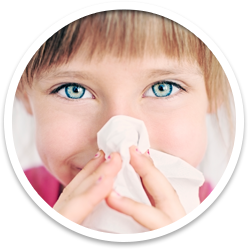 This provides cool, comfortable dehumidified air that is circulated throughout your home. Geothermal heating and cooling systems use a refrigeration system to move heat around. When used for cooling, a refrigeration system removes heat from the air as it passes through a coil and places it outside the area being cooled. This is done by compressing the refrigerant gas, which causes the gas temperature to rise 4-5 times higher than when it originally entered the compressor. The gas is then sent to a condenser where it releases the heat. After the heat is released, the gas cools down. The gas is then sent to an evaporator to remove heat from the air or water. Then the gas is sent back to the compressor and the cycle continues, on and on until the demand is satisfied. The heat created by compressing the gas is used to heat your home. When in the heating mode, the air coil is the condenser and the heat exchanger is the evaporator, essentially reversing the process used to create cool air. 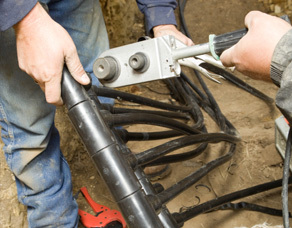 Are Geothermal Systems Worth the Investment? Even though the installation price of a geothermal system can be several times that of a forced air system of the same heating and cooling capacity, the additional costs are returned to you in energy savings, typically within 5–10 years. At the same time, the average life for a geothermal heating and cooling system is estimated at 25 years for the inside components and 50+ years for the ground loop! There are approximately 50,000 geothermal heat pumps installed in the United States each year. We Are Your Geothermal Heating and Cooling Experts! Call Hi-Tech Heating & Cooling 248.842.2162 for an in-home analysis and estimate on installing a geothermal system - we are your geothermal experts!